What makes us Uncommon? We are driven by our mission to close the achievement gap and prepare our students for college and beyond. We are fueled by our love and care for every one of our students which motivates us to get better at our craft every day. Join our team of mission-driven individuals to work hard, do good, and make a difference. Every staff member at an Uncommon school plays a crucial role in helping our students achieve their dreams and creating a joyful and supportive school culture. Whether you are new to the profession or a veteran teacher, we know you will learn and grow with us. Learn more about teaching at Uncommon in all subjects across K-12, including special education and electives. Our unique dual leadership model enables the Principal and Director of Operations to partner together as co-leaders of each school. Learn about our school leader roles, and our Fellowship training programs. From college counselors to Deans of Students, we benefit from amazing team members that help ensure every student thrives both inside and outside the classroom. Learn more about our student support roles. Our Operations team members keep our schools running smoothly so that students, staff, and families can thrive. Learn more about the unique role of school operations at Uncommon. Our Home Office team provides critical services to our entire network of schools in core functions such as finance, IT, real estate and staff recruitment. By delivering A+ strategic and administrative supports, our Home Office empowers our schools to achieve at the highest level. We are a team of mission-driven educators who are dedicated to preparing our students to succeed in college and beyond. We invest deeply in every professional, supporting your growth and achieving exceptional results for our students. At Uncommon, we believe that our students should see themselves reflected in the adults around them. Diverse, inclusive teams are strong teams. 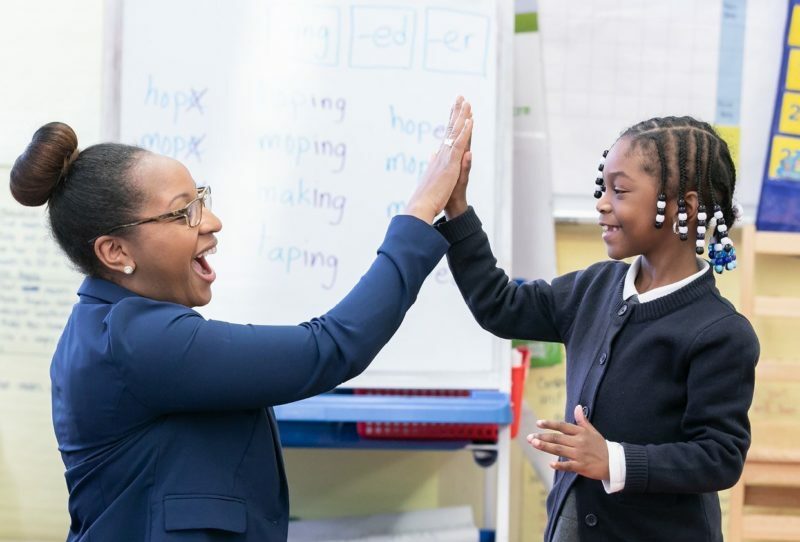 Learn more about how we value and invest in creating a diverse, equitable, and inclusive environment at Uncommon Schools. Our renowned summer teaching program provides a unique opportunity for rising college seniors to receive hands-on teaching experience and individualized coaching, preparing them to become successful Uncommon teachers after graduation.